The Professional categories of Tiptree World Bread Awards with Brook Food are open to all producers of bread sold commercially. The Home-Baker categories are only open to amateur bakers. For the purposes of this competition, ‘amateur’ refers to a competitor who is entering an item that is not produced for commercial gain. Entries must comply with the criteria for the category in which they are entered. Baked pastries and goods often referred to as Viennoise are not eligible for these Awards. Such items are usually made from laminated and enriched (with eggs, milk, butter, cream, sugar) yeast leavened dough or pastry. Examples include croissants, pain au chocolat, pain aux raisins, Danish pastries. Entries must comply with health and food hygiene standards and be safe for sampling by the Judges. Cost per entry for all categories in the Tiptree World Bread Awards with Brook Food is £15. The bread must be baked ready for eating on arrival. Bread that is uncooked, damaged or technically unsafe will be rejected and therefore NOT judged. The bread MUST be delivered fully baked and ready to eat by 1pm on Thursday 26 September 2019 to Westminster Cathedral Hall, Ambrosden Avenue, London SW1P 1QG. We advise putting the consignment on a timed delivery to ensure it arrives on time. Alternatively you may deliver your entries in person. Full guidance and instruction regarding the packaging, labeling and delivery of produce for judging will be sent by email to entrants after the competition closing date. All bread will be disposed of by the Organiser after the Event. The Judges’ assessment notes will be passed on to the Entrants upon request, but are for the guidance of Entrants only and must not be made public or revealed to third parties. 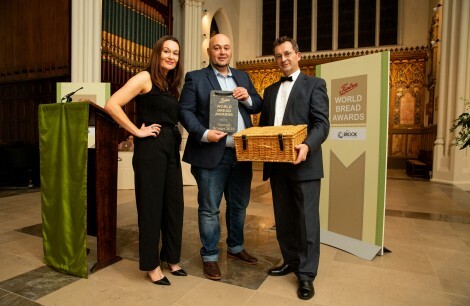 Those Entrants winning awards may use the Tiptree World Bread Awards with Brook Food logo on products and in their own publicity. 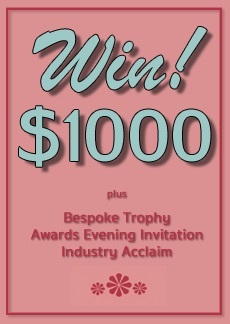 The logo may only be used for winning products and must mention the year of the award. Judges of the Tiptree World Bread Awards with Brook Food may not submit entries for the competition. No correspondence may be entered into after the competition. The verdict of the Chairman of the Judges is final. By entering the Tiptree World Bread Awards with Brook Food you are agreeing to allow the organisers and sponsors to contact you for marketing purposes. Full guidance and instruction regarding the packaging, labeling and delivery of produce for judging will be sent by email to entrants after the competition closing date. Finalists will be notified after the judging process in order that they may attend the Awards Evening Reception on the evening of Tuesday 15 October 2019 at St John’s Church, Hyde Park Crescent, London.